Make your home feel a lot more modern and stylish by introducing this gorgeous Teak Root Swivel Bar Stool. 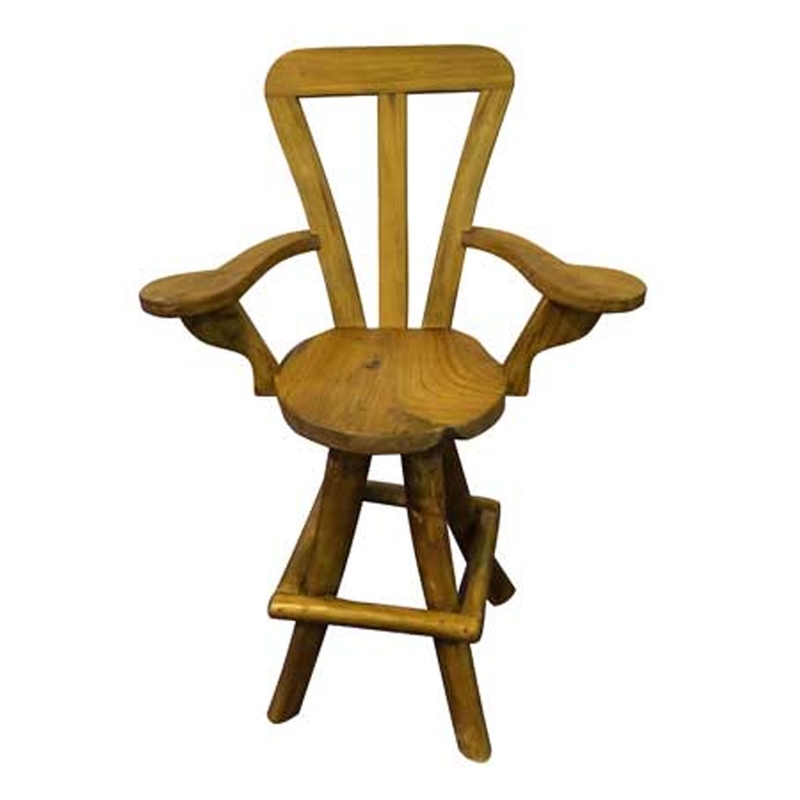 This bar stool features a lovely design that includes 4 legs, holding up a rounded seat with a back and arms. This bar stool has the ability to swivel, making it very comfortable and practical as well as stylish.